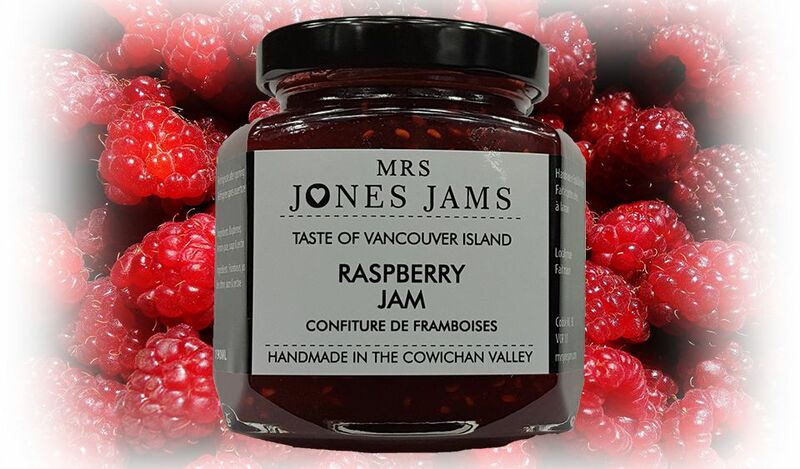 Raspberries from the Cowichan Bay Raspberry Farm is as local as it gets and they grow the most delicious juicy berries which keep their flavour brilliantly in this classic jam. Taste the freshness! INGREDIENTS: Raspberries, Sugar, Lemon Juice & Pectin.